"Where there is will, there is a way"
Now if we only could expand the curve editor window for fine tuning. Thanks for sharing. While not a complete replacement for dedicated arrowheads, it's a great example of the versatility of an existing tool. Exactly... limits help drive creativity, right? You have to create a line with the Pen (or Pencil Tool) then apply a pressure profile to it. 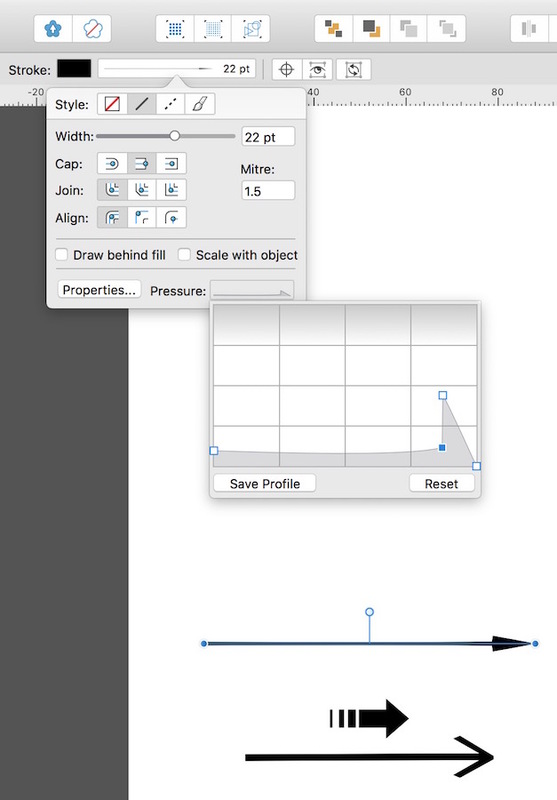 First create a line with the Pen tool, click on the "line width" button on the context toolbar and then on the button labelled Pressure on the bottom right of the panel. Finally draw a profile similar to the one shown in the first picture. Let me know if you still have trouble. • Open the Stroke panel. • Click on the Pressure parameter. • Add points (click on the existing plot) to the graph that pops up and arrange them. • Use the PenTool to draw a line. You may need to adjust the line width to enhance the effect. On the pressure graph, add extra points close to existing points to force a straight line. Hahaha I'm crying! You're really high-effort. 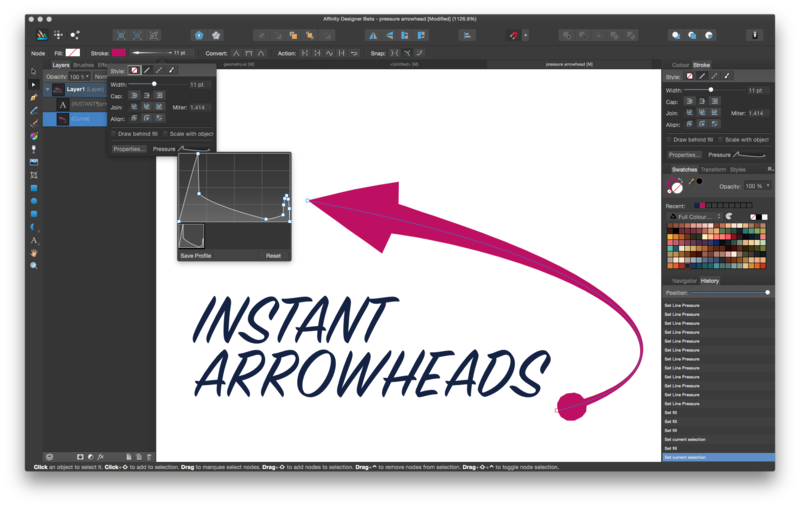 I'm new to Affinity Designer—a few hours—so please forgive a newbie dumb question. Is this instruction intended for iMac/mouse users? I'm not making any marks in the "Pressure" grid. 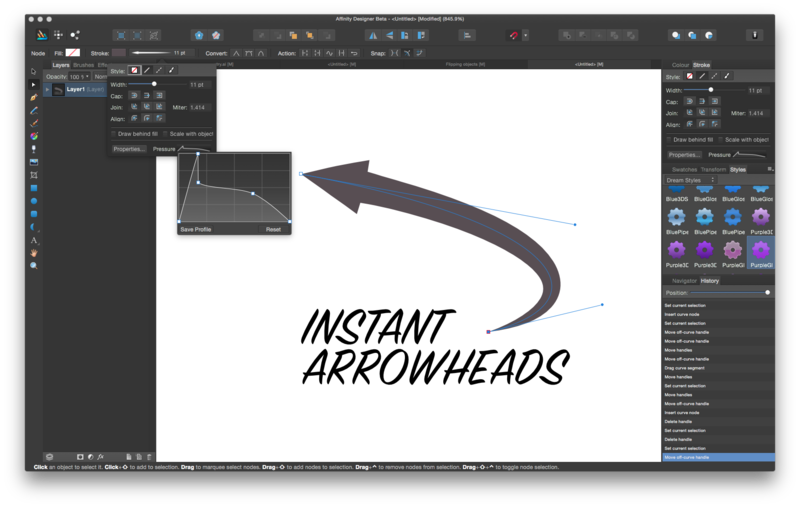 I drew an arrow and saved it in a file so I can copy and paste it where needed, but it's not very elegant and manipulating it takes time. I'm surprised that arrows aren't included as part of the "Line" choices. If a trial use had been offered I wouldn't have purchased it after the trial period. The work around is found in the pressure setting of the stroke dialogue. On a Mac, you can also insert arrow symbols from the character map utility, and convert those to vectors for further manipulation. And, yeah, its one of those things that should get built in. Thanks for the prompt and informative reply, gdenby. I experimented a bit and created/saved one but it leaves a bit to be desired in that lengthening and shortening it distorts it. Mine, cumbersome as it is, is preferable. 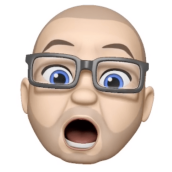 Now, I need to experiment with your suggestion, "On a Mac, you can also insert arrow symbols from the character map utility, and convert those to vectors for further manipulation." I found them. ➛ I frequently use other symbols from the utility but have never looked at the arrows. If a trial use had been offered I wouldn't have purchased it after the trial period. Both of the current Affinity apps are available in a ten-day trial version for Mac or Windows. "If a trial use had been offered I wouldn't have purchased it after the trial period."